When The Masked Ace was looking at the card for TLC, he was not all that impresed. There were two big draw matches: the Shield VS Miz, Cesaro, Sheamus, Braun Strowman, and Kane in a TLC match and The Demon Vs Sister Abigail. But, the Universal, Intercontinental, and Tag Titles were not being defended. And the rest of the card was three women’s matches (one featured the debut of Asuka on the main roster) and two cruiserweight matches. Just looking at that card, I couldn't help but think WWE had stretched itself really thin. For the most part, I do think that WWE manages to put on really good matches at all of their PPV’s., but it just doesn’t feel like there is anything huge on this card that will sell the show. It just kind of felt like filler to get us to NXT Houston and Survivor Series. But then on Friday, all hell broke out. There had been talk all week that a few WWE superstars had come down with Viral Meningitis. As a result, WWE had to swap around some of their big matches for this PPV. "Due to medical issues impacting two WWE Superstars scheduled to appear at WWE TLC: Tables, Ladders and Chairs, streaming live on WWE Network this Sunday, the special event will now feature Kurt Angle competing in a WWE ring for the first time in more than 11 years, as he replaces Roman Reigns. In addition, former WWE Champion AJ Styles will replace Bray Wyatt and face “The Demon” Finn Bálor. A WWE Hall of Famer and the current General Manager of Raw, Angle will join forces with Raw Tag Team Champions Seth Rollins & Dean Ambrose to battle the daunting combination of Braun Strowman, Intercontinental Champion The Miz, Cesaro, Sheamus and The Big Red Machine Kane in a Tables, Ladders & Chairs 5-on-3 Handicap Match." Yes, it's true...it's damn true!! 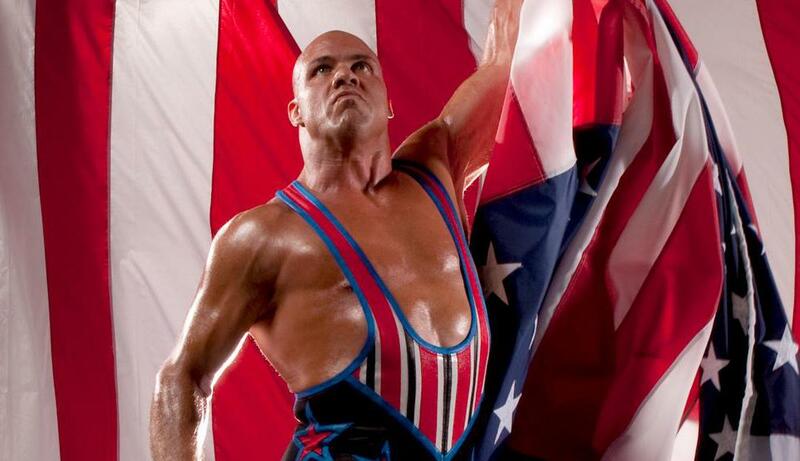 For the fist time in 11 years, Kurt Angle is wresling in the WWE. And it's not at WrestleMania...it's in a TLC match. Also for first time in the WWE, we're getting to see AJ Styles Vs Finn Balor. Another match that screams BIG PPV to me. You can tell WWE was scrambling to get this PPV back on track. These are now two huge matches that will definitely sell the show. Sometimes these unexpected real life events create some of the most exciting moments in WWE history. I am now much more interested in TLC than I would have been otherwise. This is the Masked Ace signing out.